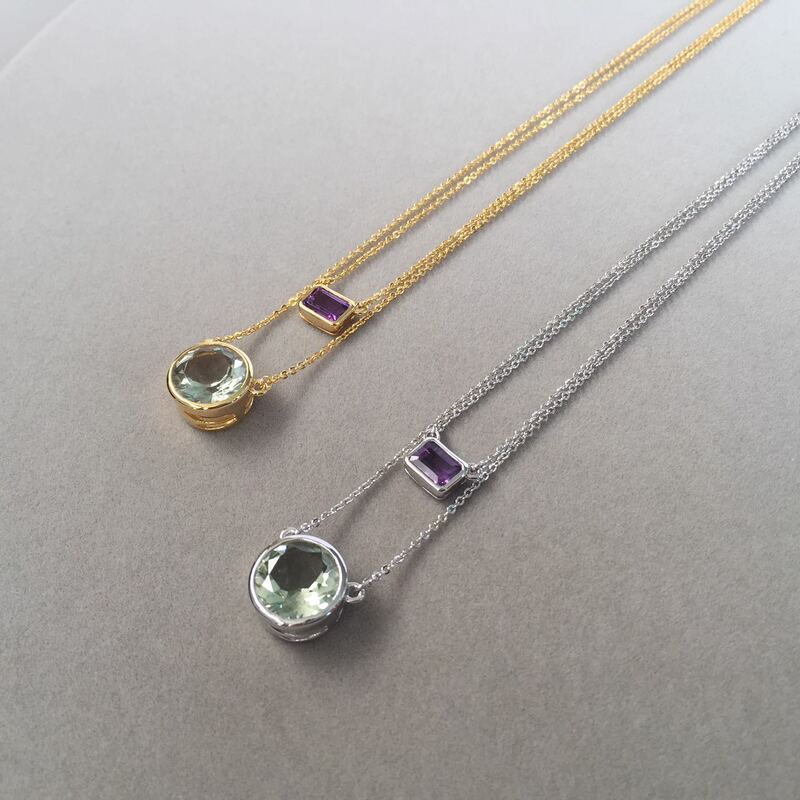 Highlands Jewellery designs are loved for its unmistakable use of colour. 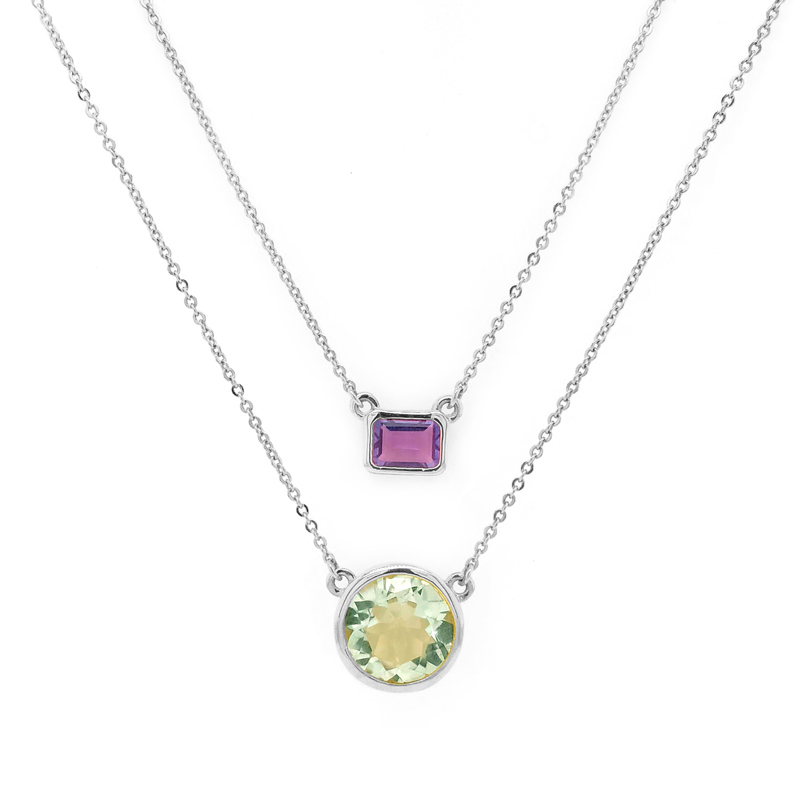 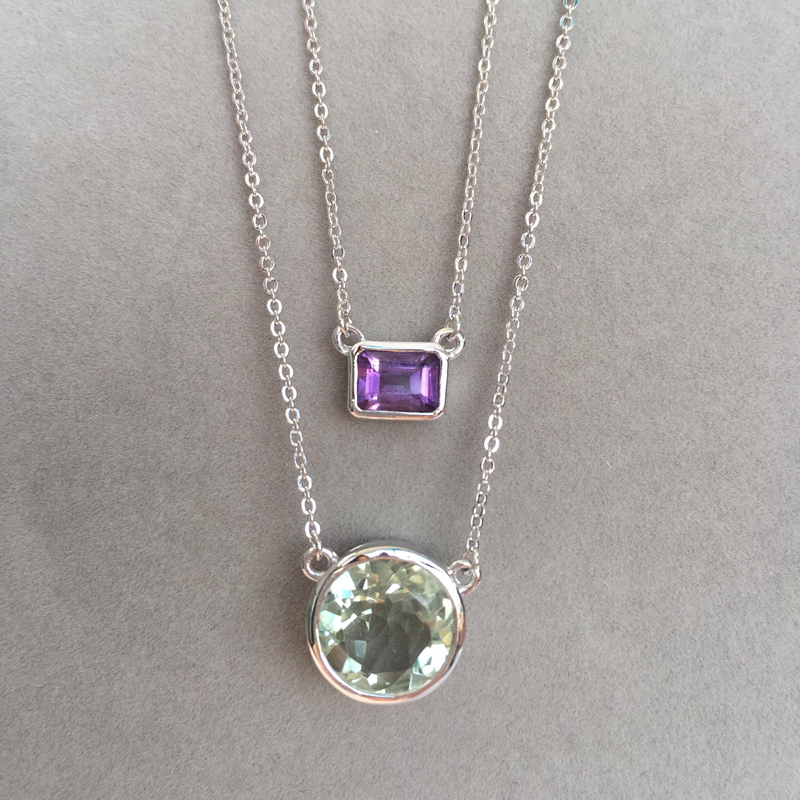 Strung on 925 sterling silver with rhodium plated finish chain this double Amethyst necklace set with sparkling gems of different colour. 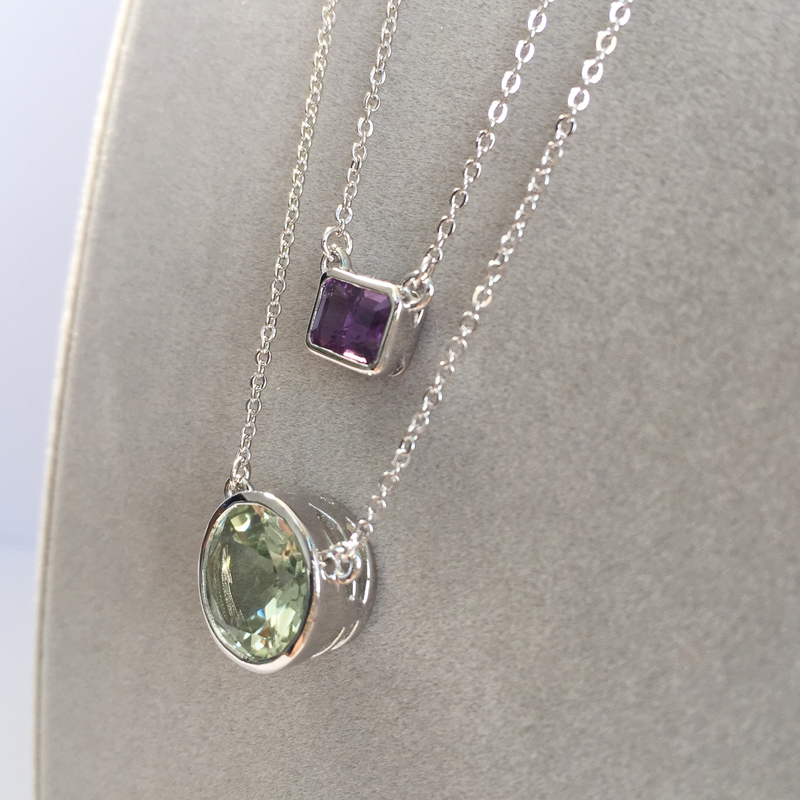 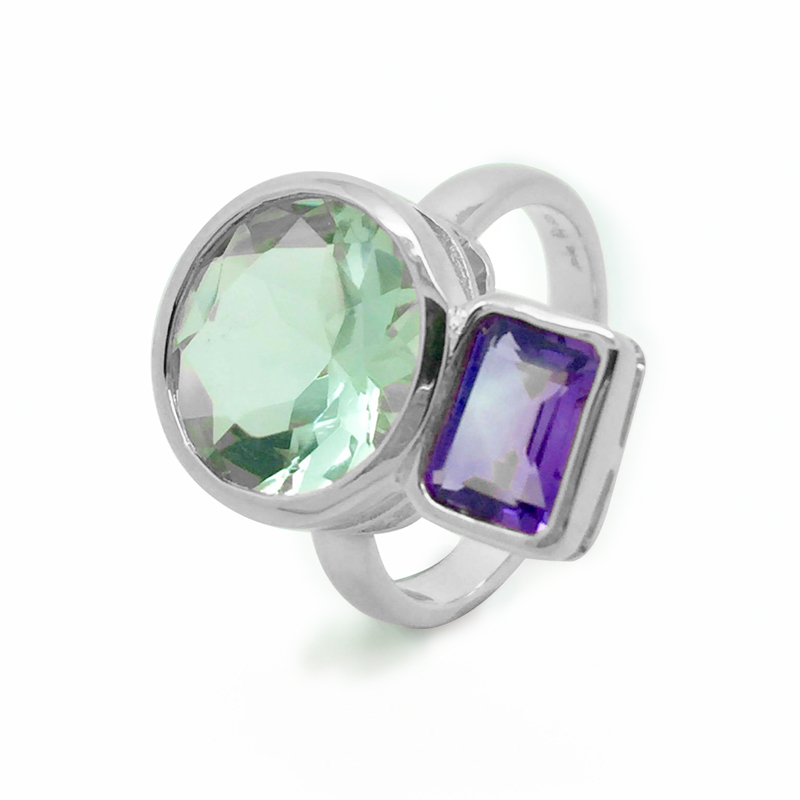 It’s centred by a large Green Amethyst jewel that is complemented by a smaller Amethyst with the intense purple hue. 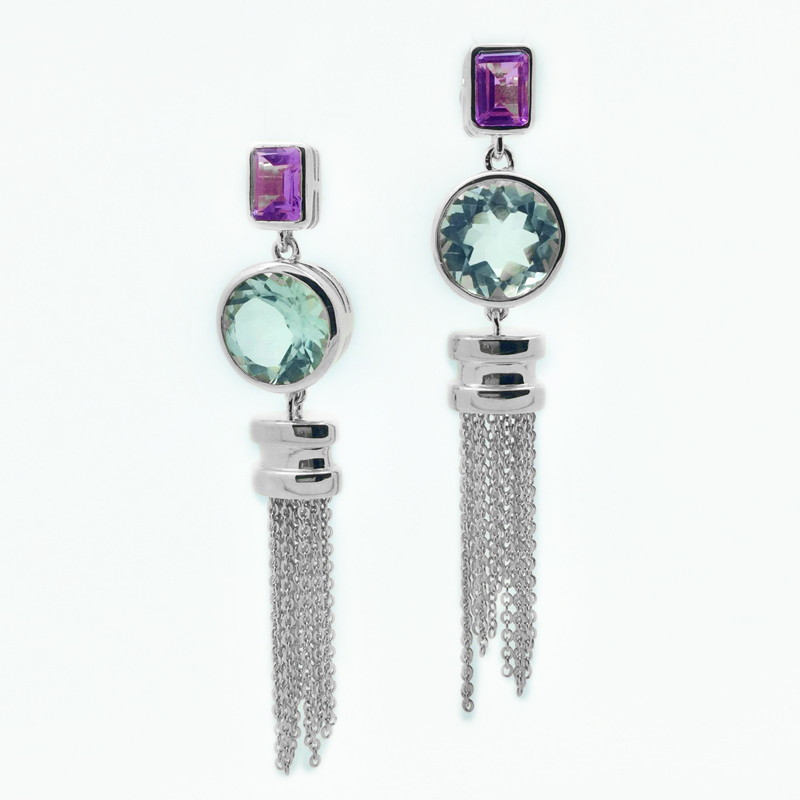 It will lend an instant pop of colour and a dose of high-octane glamour to any look.